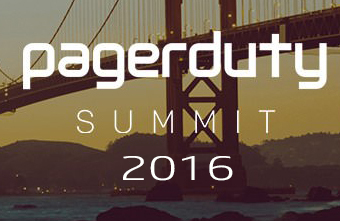 The inaugural PagerDuty Summit in San Francisco on September 13th was well attended with a cross section of managers and practitioners from the DevOps community including Google, Netflix, Airbnb, Amazon, Twillio, Dropbox and more. I am now much better able to articulate the DevOps ethos with a great quote shared by the summit’s keynote speaker Jennifer Tejada, Pagerduty CEO, “success is when everything is running smoothly”. DevOps is about relentlessly driving everything in the cycle from identifying a business need; to utilizing agile software development; performing automated testing; continuously deploying in small increments; extensive monitoring for early detection of problems; effective incident management; blameless postmortems; and sharing of learning/ taking action to make sure no problem is ever repeated. 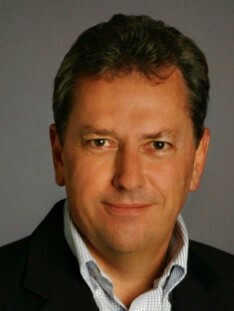 Adoption of DevOps has become a critical success factor in Digital Transformation where our daily lives are increasingly using cloud-based systems for everything from searching for information online; shopping and banking; hailing an Uber or getting directions; streaming a video; sharing a file or sending a message, all of which we expect to “run smoothly” while continuously upgrading with new features and capabilities. The business benefits are extraordinary – Puppet’s State of DevOps Report 2016 quantifies the impact of high performing teams with 200x more deployments, 2555x shorter lead times, 3x lower change failure rate, 24x faster recovery from failure, 50% less time spent on security issues, and 22% less time spent on unplanned work. When everything is running smoothly there is more time to focus on innovating to create business value. DevOps is good both for developers and operations teams ensuring a tight feedback loop from experience in production back into product evolution. A key metric is code deployment lead-time (from check in to go-live). Focusing on this drives improvement in test coverage, automation, monitoring, security, and more. DevOps enables a dynamic learning organization culture that every issue should be a learning opportunity on how to do things better. It’s not just web scale companies that are adopting DevOps. Gene gave examples of successful adoption in more traditional IT domains like financial, healthcare, and utilities that gained similar business benefits. A panel session added observations around the human dimension of using DevOps to restore work/life balance and impact on recruiting & retaining talent. PagerDuty announced new capabilities for Incident Management, Infrastructure Health Monitoring, automatic capture of incident log and incident task assignment/ reminder in addition to event suppression/ correlation/ aggregation as an incident, team alerting, and roster management and reporting that has led more than 8000 organizations to adopt the tool including more than half of the Fortune 100. SOPRIS Technologies, Inc. will certainly emphasize these capabilities and the more than 175 PagerDuty native integrations with the data center operations and software development teams we work with. David Stevenson is Head of Strategy at SOPRIS Technologies building solutions for Service Providers and Enterprise as Network, Cloud and Data Center converge around NFV and SDN. Previously David led Motive (an Austin startup) growing it from a $50M at acquisition by Alcatel-Lucent to over $200M software business in Customer Experience Service Assurance, Device Management and Analytics with a global customer base.